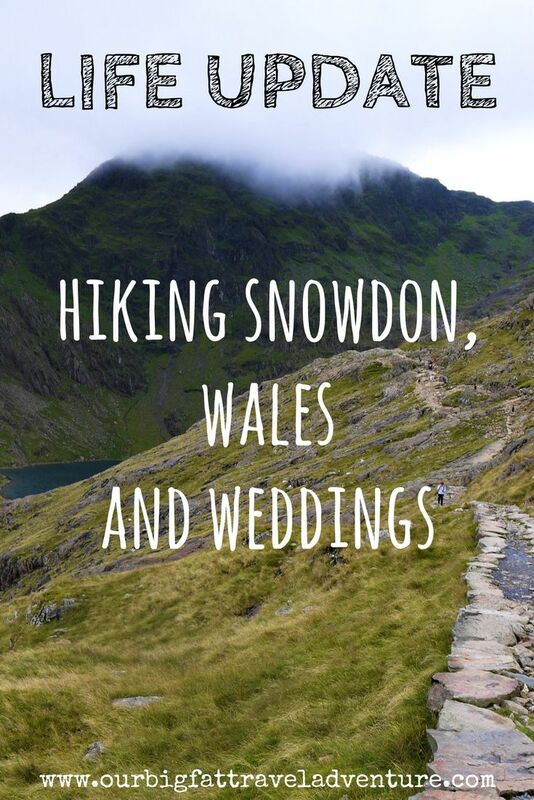 From Welsh weddings to hiking Snowdon and house sitting all around London, these past two months in the UK have been crammed with activity. Between family visits and zipping around the country we’ve definitely dropped the ball with work, blogging and planning for our upcoming Europe trip. 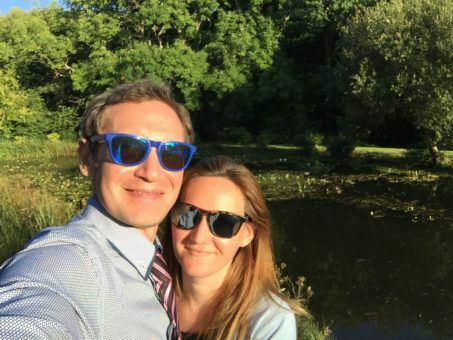 So, as we start to pull ourselves together again, here’s a look back at our hectic summer adventures in the UK. After our first experience of looking after pigs in West London we moved on to a more serene sit in the north of the city to take care of Billy the dog. 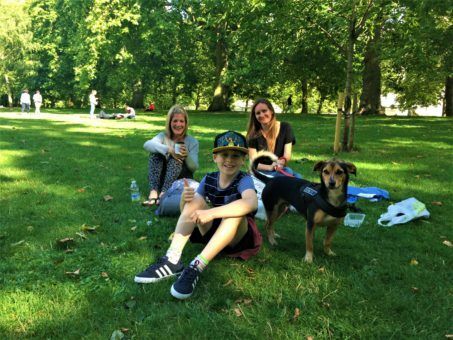 A visit from my friend and her son took us to some child-friendly attractions like the Aquarium, London Dungeons, Hamleys and the Lego store as well as some squirrel spotting with Billy in St James’ Park. I also spent time with my Mum exploring the City of London Museum and walking along the South Bank. 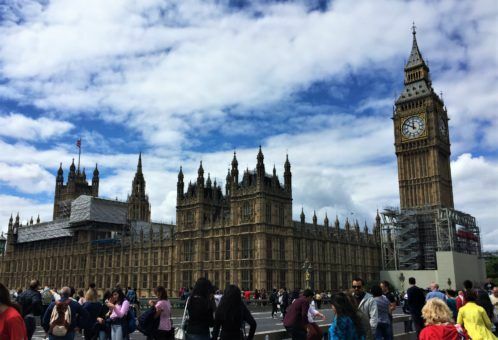 We started at London Bridge and trawled through tasty treasures in Borough Market, then weaved through crowds of summer sightseers to Westminster Bridge, passing Shakespeare’s Globe, the Tate Modern and the London Eye. I used to work in this area and never tire of revisiting, it’s one of my favourite parts of the city. This summer I’ve spent more time in Wales than ever before visiting Andrew’s family in Carmarthen. 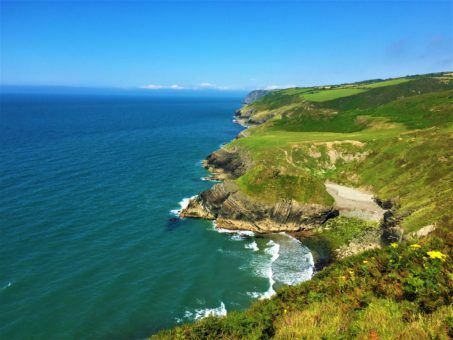 Some rare sunny weather meant we enjoyed garden BBQs and a nine-mile coastal walk from Llangrannog to Newquay along jagged clifftops bordered by golden beaches on one side and lush green fields on the other. 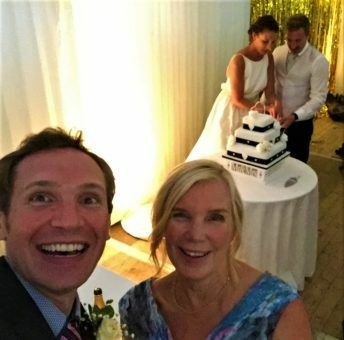 August is wedding season in the UK and this month Andrew’s brother tied the knot at a beautiful spot in the Welsh countryside. Amazingly, the rain held off for the celebrations and the skies were even clear enough to pop out of the reception and watch the Perseid Meteor Shower – I haven’t seen a clearer night sky since our trip to the Bay of Islands in New Zealand. 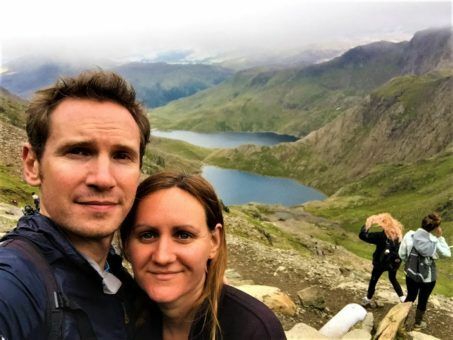 It’s been a while since our epic Everest Base Camp Trek, so while in Wales we took the chance to get our hike back on with a trek to the country’s highest peak, Mount Snowdon. Although the mountain sits just 1,085 metres above sea level compared with Base Camp’s 5,365, the walk still took six hours and was tough enough to leave us aching the next day. 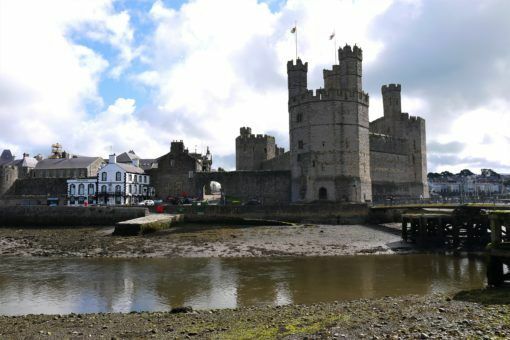 The night before we stayed in the former royal port town of Caernarfon, where we took a look at the ancient castle and spent the evening in the ‘Welshest pub in Wales’. A late start the next day meant we had to park half an hour away from the start of the Pyg Track, one of the most popular routes up Snowdon. 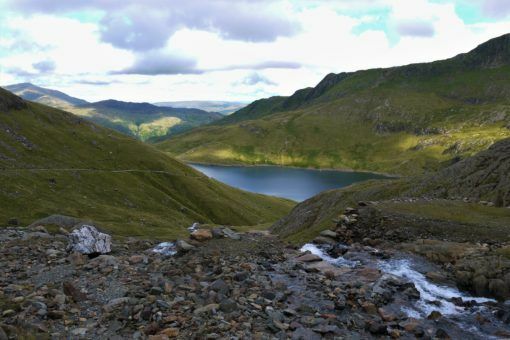 The rocky path sloped gently up the mountain, revealing views of glittering lakes below and the surrounding peaks of Snowdonia National Park. 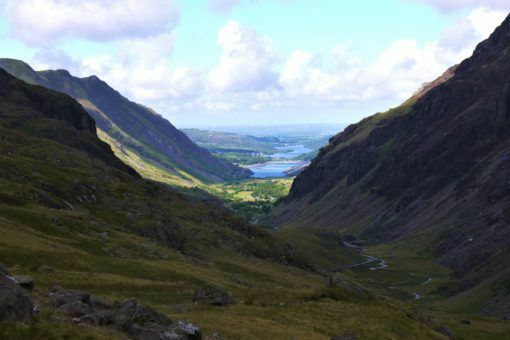 The last section of the track was congested with school-holiday hikers and a surprising number of dogs, and a thick band of mist hung over the peak, completely obscuring the view from the top of Snowdon. The crowds, freezing wind and poor views meant we didn’t hang around long and began our descent via the Miner’s Track, which took us alongside still, clear lakes at the foothills of Snowdon. After a few days in our former university city Bristol, we’re back with my parents near Southampton frantically trying to catch up with everything and plan for our Europe trip. 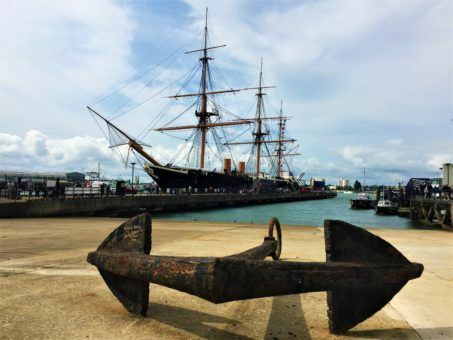 This week we took a trip down the road to the Portsmouth Historic Dockyard, which I haven’t visited since I was a kid. We had a great time exploring the HMS Victory, Warrior and the Mary Rose, as well as taking a boat tour around the harbour. The weather here has taken a definite autumnal turn and I’m looking forward to heading to warmer climes in September. With that in mind, we’ve booked a month-long stay just outside of Porto to follow our Portugal house sit and we’re still working on the rest of our Europe itinerary. We know we’ll definitely be stopping in Amsterdam and Slovenia, Cologne and Neuschwanstein Castle are also looking likely before our November stay in Prague. As always, thanks for following our journey and I’d love to hear about your summer adventures in the comments below – what have you been up to? Are you guys still in London? I’d be cool to grab a coffee or something before you head out! Hi Kristen, we’re staying with my parents in Southampton at the moment but we’ll be back in London for another housesit before we leave between the 7th and 15th September. Will you be around then? It sounds like your summer has swept by as well as ours! Glad you have a plan for fall to some exciting spots. Yep, it’s been so busy Rhonda, I hope you guys are well. We’re definitely looking forward to our upcoming Europe trip though and some sun! Looking forward to seeing you in the fall! Enjoy your remaining time in the UK and safe travels as you once again take to the road. Ooooh! I love Wales. We spent a summer there a few years ago and went hiking, horse-riding and staying in bunk cabins! I also took the opportunity to show my German husband my old school, our family home, and where we used to hang out in the suburbs of Manchester. Good times! As for the summer, we were supposed to go to France, but we’ve postponed that for next Spring, but I did get to meet Prince William & Kate Middleton in Berlin, and I did some stuff with the BBC and a German newspaper! We’re going to York & the Peak District, in the Autumn instead! What an amazing summer Victoria, I’m going to head over to check that story out on your blog asap! Hope you have a great time in York and the Peak district, two areas of the UK I’ve yet to explore. 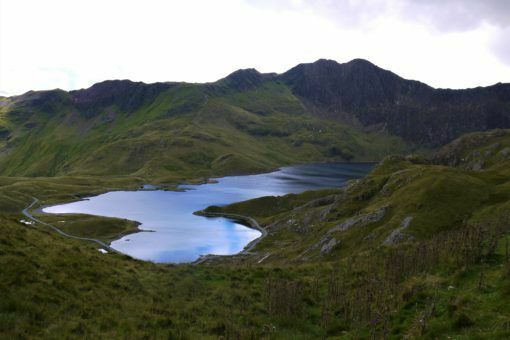 I would definitely love to go trekking Mount Snowdon! When’s the best time of the year to do so? Hi Agness, thanks for reading and commenting. I think summer is definitely the best time for Snowdon so you have better weather, try to time it before the school holidays though to avoid the crowds that we encountered! Hi Gilda, yes, I’m sure we’ll cross paths in the future 🙂 I’m glad you’ve had a good summer and the travel plans are moving along nicely! Have a great time in Mauritius, looking forward to hearing about it! Thanks Louisa, just a couple of weeks now until we head to Portugal – I’m definitely looking forward to some sun!